Mrs. Wheeler attended the University of Delaware for undergraduate school with a major in psychology. She then attended Millersville University where she earned an MS in Psychology and certification in School Psychology. Mrs. Wheeler started working in the Palmyra School District in 1998. She was away from Palmyra for a few years to start a family. During this time, she did contractual work for various school districts and worked part time for IU#13. 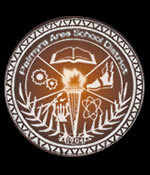 Mrs. Wheeler returned to the Palmyra School District working part time in 2003. She currently services Pine Street and Northside Elementary Schools. When not at work, Mrs. Wheeler enjoys spending time with her family, which includes her husband, two daughters, and two golden doodles. Hobbies include spending time outside, exercising, reading, and cooking.